Hiking mountains can be exhausting - surprise surprise. 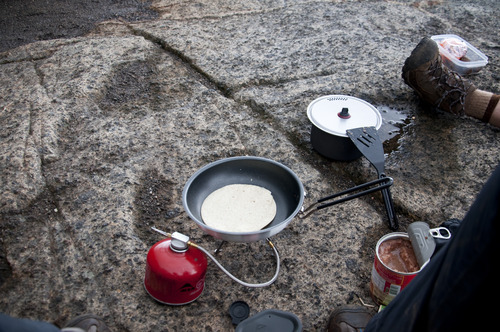 A great way to refuel mid-hike is to have a hot meal! 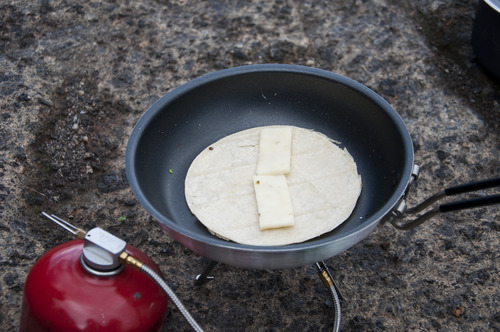 I felt a little crazy for bringing our hiking stove up the mountain but it was definitely worth it (everyone was jealous). We made vegetarian burritos with corn tortillas - which are hard to find in Ontario but we were able to find them in New York State. First toast the tortilla - it really brings out the rich corny taste… literally corny. Add the monterey jack cheese. 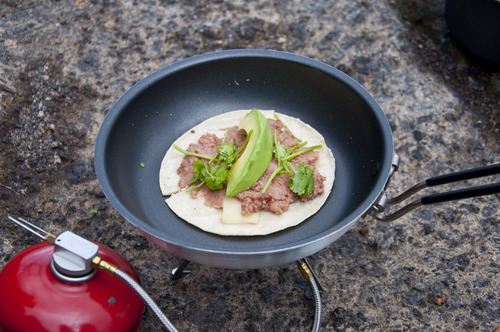 Spread on your refried beans, cilantro and avocado and wait for the cheese to melt. Certainly a great meal to enjoy looking over this view!